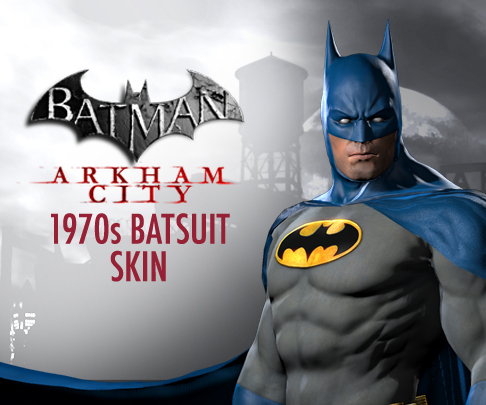 If you're tired of looking at Batman's boring old costume, relief is at hand. 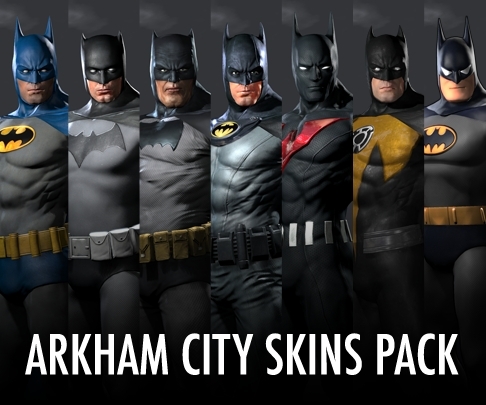 Rocksteady Studios has released an Arkham City Skins Pack with seven new costumes for the Dark Knight. Many of these costumes were included in exclusive pre-order deals through this or that retailer. Now you can finally own them all. The DLC costs $4.99, or 400 MS points to download. 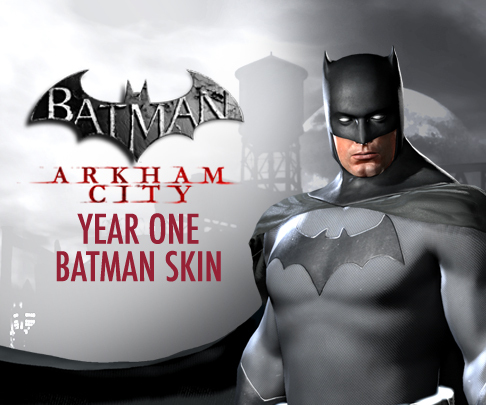 It's available for the PS3, Xbox 360 and PC. 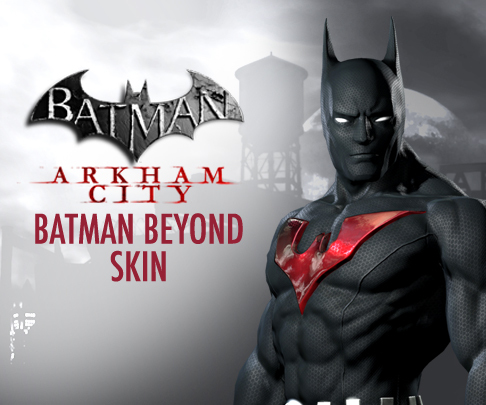 Batman Beyond was a very underrated cartoon so it's nice to see it represented in the DLC. 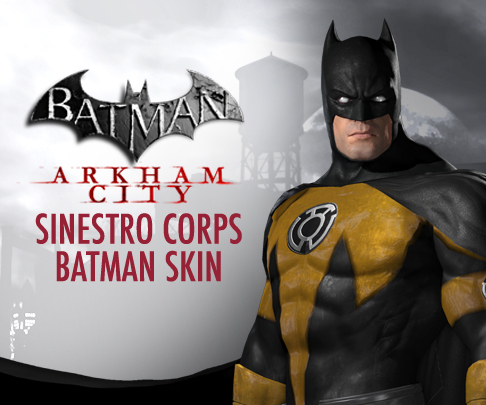 The Sinestro Corps suit is pretty interesting, too. 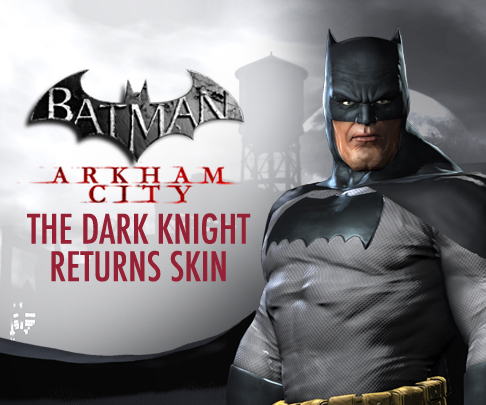 I'd have to give the gold trophy to The Dark Knight Returns skin, though. I love me some Frank Miller. 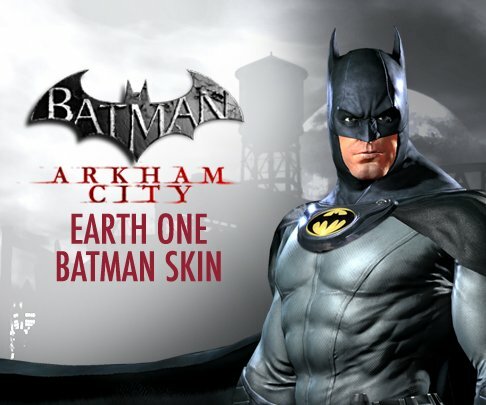 If you're looking for DLC with a little more substance, you'll have to wait a couple weeks. 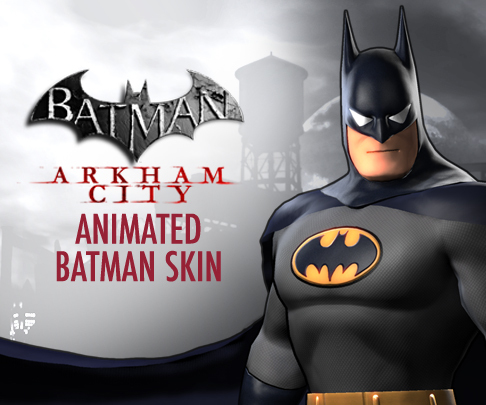 The Batcave add-on is set to arrive on December 20th.